The first obstacle to the realization of research on cloud computing is the development of an appropriate research platform. Although commercial clouds are realistic as platforms of research, they are not always practical due to the financial cost and time required by experiments. Also, it is difficult to achieve the evaluation of some critical scenarios and failure. In addition, the experiments are not repeatable, because there are several variables that are not under control of the tester which may affect results. Therefore, it is indispensable to use cloud simulators in order to model and evaluate the performance of cloud applications. This work presents a detailed taxonomy which focuses on the different features of cloud simulators. Then, it provides a comprehensive review of the existing simulation tools available to researchers and industry engineers. Also, a comparative study of these tools is presented. Finally, a discussion of the open research challenges concludes the paper. Recent years have seen a significant increase in cloud computing applications and services (Arutyunov, 2012). Several enterprises are adopting this technology to have a high performance of their applications while maintaining a low cost. In fact, cloud environments are making use of virtualization technologies. Instead of running programs on computers, everything is hosted in the cloud. The latter is a model enabling an on-demand network access to a shared pool of configurable computing resources (storage, applications, services, etc.). It offers services that can be classified in three categories (Bohn, 2011): software as a service (SaaS), platform as a service (PaaS) and infrastructure as a service (IaaS). These services can be consumed based on a Service Level Agreement (SLA) which defines their required Quality of Service (QoS) parameters, on a “pay-as-you-go” basis. Because of the large number of cloud services and applications, it becomes difficult to compare and find the right service that meet their requirements (Khajeh-Hosseini, 2012). So, it is necessary to have an efficient method to evaluate the performance levels of cloud systems. The experimentation in a real environment is not advisable. In fact, the deployment of a cloud system generally requires the use of many network resources, hardware resources, storage resources, etc. In addition, performing experiments with a real cloud system needs to have certain knowledge of networking fundamentals, cloud resource management, cloud security, etc. Moreover, the evaluation of some critical scenarios and failure is very difficult with a real cloud system. Furthermore, repeating experiments is impossible. Also, the financial cost and time required by these experiments are often very high. To overcome these issues, the more viable solution consists in using simulation tools that can evaluate the performance of cloud applications before deploying them in a real setup. The simulation technology has become well-known in cloud industry and academy. It offers a free environment that can mimic the behavior of a real cloud environment (Calheiros, 2009). Also, experiments can be easily controlled and repeated using a simulation approach. Indeed, they need less effort to prepare and test experiment scenarios. Unlike a real environment, experiments using simulators can be replicated quickly and the results can be reproduced easily. For carrying out research in the cloud, several simulation tools have become available (Calheiros, 2011; Mudialba, 2016; Sun, 2015; Núñez, 2012; Anjum, 2013). However, selecting the more suitable simulator to use needs a thorough analysis of the available tools. 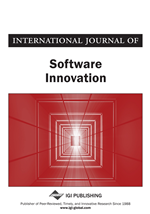 Previous attempts to survey simulation tools for cloud computing can be seen in the literature (Sharkh, 2016; Mudialba, 2016; Sinha, 2015). In this review paper, we strive to offer an updated view of this topic. We offer a deep analysis of the existing simulators in cloud environments. Moreover, it presents a comparative analysis of these tools based on our taxonomy criteria. Finally, the paper introduces the major challenges that have to be addressed. These challenges include application model, pricing, scheduling, etc.